Mobile wedding DJs and photographers. We do things a little differently; we listen to what you want. As a professional specialist wedding DJ with over 25 years' experience, We can bring our expertise to your reception but will never forget that it's your event. We have many client testimonials available on our websites from past events. so glad we chose you for our wedding. The music was great, just what we asked for. Everybody had a great time, I hardly left the dance floor! The photos - fabulous! we have had so many compliments on the pictures you took during the evening and the green screen was a big hit, lots of laughter the next day over the dressing up antics! Wish we could do it all again. Glad you managed to get out of the field and home safely, we were rather unlucky with the weather! Once again, huge thank you. 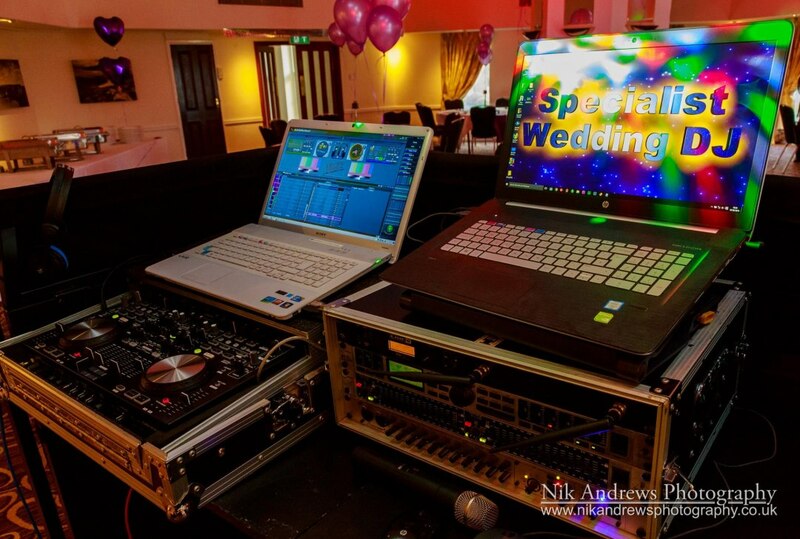 Very professional, hope we are lucky enough to be invited to a wedding in the future where you are the DJ! We also offer a full competitively priced professional wedding photography service and give you up to £200 discount if you book both services at the same time. We are a family run business and have operated since 1981 all of our equipment is tested and we have full insurance for your piece of mind we also provide a contract to prove you have made a booking. Give your guests the quality they deserve. From a small minimalist setup to a full-on mobile club PA and lighting. 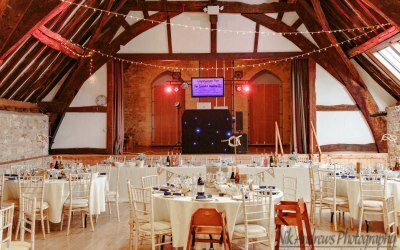 We also high-quality professional photography with every disco booked (this service is not as comprehensive as our full photography packages). We provide sound and lighting solutions for all types of events. 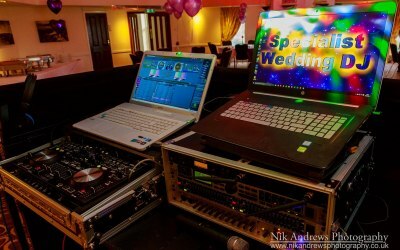 Weddings, birthdays, engagements, Corporate events, children's disco, Wedding Photography, PA hire, In fact, any where musical entertainment is required. We had a fab night last night with Helen from Andrews Creative. The music was excellent and just what I wanted. I would recommend them to anyone. What a great night. All our quests commented on the choice and mixture of music also saying it was not to loud and they could still talk without shouting. Helen was very accommodating all evening. Would recommend to anyone booking a disco. Helen was friendly, happy, punctual and professional. We had a wonderful evening and Helen Andrews was a very good choice for a disco. I would recommend her to others looking for a disco. Great service! Thank you ! Disco was great and song choices were age appropriate. The kids loved the photos !! Thank you. Will definitely be booking again. We booked Andrews Creative for our annual Staff Awards at the Molineux and he did not disappoint. He kept the dance floor busy all night! Would definitely recommend. Get quotes from Andrews Creative and others within hours.